In the years after World War I, a group of New York City writers, critics, and assorted artsy types met for lunch almost daily at the Algonquin Hotel on West 44th Street (the theatre district). This articulate group — masters of both witty repartee and practical jokes — initially dubbed themselves the “Vicious Circle.” But they quickly became known as the Algonquin Round Table, after the seating space they staked claim to in the hotel dining room. During the group’s heyday (from 1919 to about 1929), it included Robert Benchley, Heywood Broun, George S. Kaufman, Harpo Marx, Dorothy Parker, Harold Ross, Robert E. Sherwood, and Alexander Woollcott, among others. Many Roundtable members were already famous; others soon became so. And they helped launch The New Yorker magazine (founded in 1925 by Round Tabler Harold Ross). This was a hard-drinking bunch — even by the standards of those hard-drinking days. But Prohibition started in 1920. So, although the Algonquin has at least one cocktail named after it, Wikipedia informs us that the hotel was officially “dry” during the time the Round Table set met there for lunch. More about that later. First, let’s mix up an Algonquin Cocktail! This version uses rye whiskey — which always seems most appropriate to me in a winter drink. 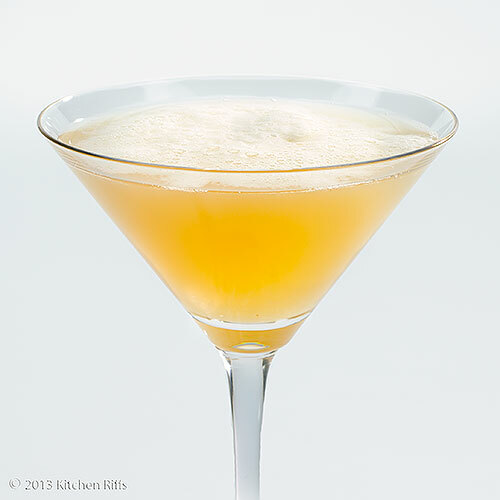 But the cocktail also includes a healthy slug of pineapple juice, which lightens up the drink and makes it perfect for spring or summer as well. 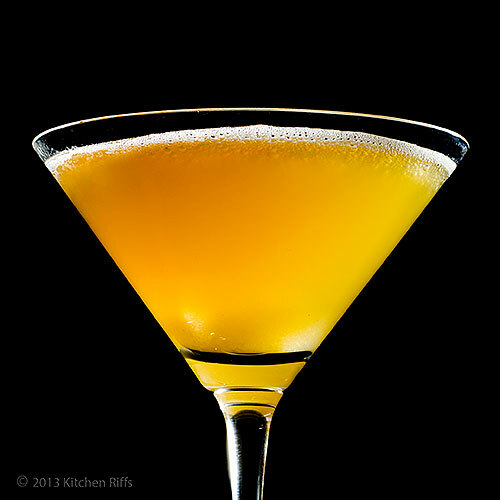 This is a smooth cocktail with a tang and not too much sweetness — excellent to whet your appetite before dinner. There is some disagreement about whether one should stir or shake this drink. Because the drink contains juice (pineapple), conventional wisdom says shake. But pineapple juice foams when shaken, and some people don’t like how it makes the drink look. So they stir. Me? I like the foam, so I shake. Combine all ingredients in a shaker half-filled with ice. Shake (or stir) briskly until well chilled — about 20 to 30 seconds. Strain into a cocktail glass and serve. I very much prefer this drink without a garnish. But if you insist on one, I suggest an orange peel or maybe a lemon twist. This drink really demands a good quality rye to present itself properly. I recommend either Bulleit Rye or Rittenhouse Rye (the 100 proof, that’s bottled in bond). Jim Beam Rye, one of the most commonly available brands, doesn’t make the cut for this drink, alas. I haven’t tried the other popular brand of rye, Old Overholt in this drink. BTW, I buy all my booze myself, and my opinions are my own — I’m not compensated or sponsored by anyone. I usually add a couple dashes of Fee Bros. West Indian Orange Bitters to this drink (regular orange bitters work nicely too). This is an idea I got from David Wondrich, who says that a “generous squeeze of orange peel will work almost as well.” I haven't tested the orange peel, but it sounds good. At least a couple of different drinks carry the Algonquin name. The one we feature in this post is the most famous. The other, which some people favor, requires 1½ ounces light rum, 1 ounce blackberry brandy, ¾ ounce Bénédictine, and ¾ ounce lime juice. I haven’t tried that version — I’m fresh out of blackberry brandy. But I doubt the Roundtable set would have drunk it anyhow — sounds way too frou-frou for them. In fact, they might not have ordered the version we’re discussing either. They were more partial to Martinis. Or maybe highballs. Blackberry brandy? They might have served it to their grandmothers. The Algonquin Roundtable members did like their booze. They just couldn’t have it at lunch, because the hotel was dry. But after eating, they’d sometimes migrate to Jack and Charlie’s speakeasy — which later became the restaurant called "21" and still exists today. Or to Tony Soma’s, across the street from Jack and Charlie’s (on the spot that later became NBC’s studios). Or to one of the other speakeasies around New York City — there was no lack of them. Several members of the Roundtable were quite well known. George S. Kaufman and Robert E. Sherwood became famous playwrights (both won the Pulitzer Prize). Harpo Marx became a movie star (though many people may be more familiar with his brother Groucho). Harold Ross’s New Yorker magazine became an instant critical (and later, business) success. I just got quite an education - thank you! this is one drink I have never tried and didn't know much about. I love these posts! Hi Alyssa, I love doing these posts! The drinks are tasty and fun, but so many of them have such interesting history. I always learn a lot, too. Thanks for the comment. Hi Marina, having a few "ingredients" around the house is always a good thing! I'm sure those lunches were really entertaining - I would have loved to have been there too. Thanks for the comment. I like the look of the foam on top! And, I'm realizing I'm woefully uninformed about rye whiskey. I need to try the two you recommended! How fantastic was this post? I really enjoyed the history and the way you've told it. It does make me crave a drink.. and a chance to sit at that table. Maybe we need a blogger's table somewhere in New York some day? Love the idea of spring being pineapple and winter being rye. Go heavy on the pineapple for me. 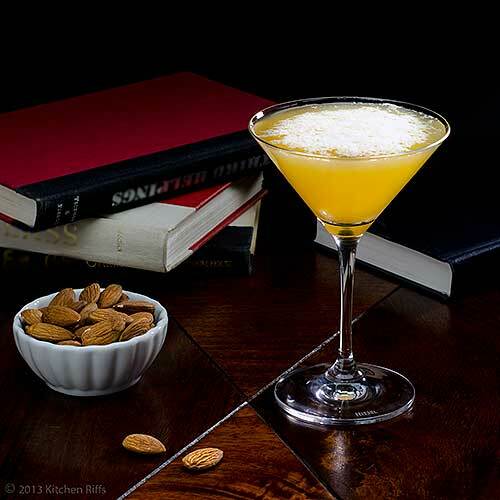 And right now I would concur with Dorothy on this one- "The two most beautiful words in the English language are ‘cheque enclosed.’" Might need this drink if this doesn't happen soon! And wouldn't it have been fun to just sit at the next table eavesdropping! Fun subject and fun drink! It would be such fun to be part of an articulate circle, even if it was called the Vicious Circle initially. Dorothy Parker was an amazing wit. This drink looks glorious but it's not for me because of the whiskey. I was just thinking about all the wonderful cpcktails you and your wife get to sample. It's a great bonus of all the effort put into blogging. Hi Charlie, this cocktail isn't that popular these days, but if you have the ingredients it's worth a try someday. Thanks for the comment. Hi Lisa, I really like the foam too! I'm not sure why some people object to it. Rye whiskey is good - less sweet than bourbon, sometimes a bit more bite (if you like that sort of thing - I do). Thanks for the comment. Hi Kiran, isn't this cocktail great? The Roundtable group was really a hoot. Thanks for the comment. Hi Barbara, a blogger's table would be wonderful! We need to set that up. ;-) Thanks for the comment. Hi Abbe, the pineapple is really good in this, although in this case I think too much might throw the balance of the drink off. Can't hurt to try, though! Thanks for the comment. Hi Suzanne, wasn't Dorothy Parker amazing? Such fun to read. And we probably would have never tried this cocktail if it wasn't for blogging, so I agree it's a great bonus! Thanks for the comment. Hi La Torontoise, glad you enjoyed it! It was fun to write. ;-) Thanks for the comment. Do you think I could use fresh pineapple juice for this, we have them in season at the moment. I am also going to have to hunt down some rye whisky here in Australia. I think I have just found my perfect cocktail, thanks for sharing this one and what a great story that goes along with it. Hi Lizzie, fresh pineapple juice would be excellent! I suggested the canned because fresh is so hard to find. Just don't sweeten it - IMO this cocktail tastes better without added sugar. Hope you enjoy! Thanks for the comment. When I read the cocktail's name in the notification I wondered if it was connected to the fabled Round Table. Now that would have been the place to be. Of course, I'd have had a better chance serving rather than joining them. Even so, that would have been something. I've mentioned before, John, your cocktail posts are one-of-kind. You just don't present the cocktail but you always throw in a bit of history, as well. Whether one likes the cocktail, the post is a pleasure to read. Thank you. Loved this post John! The drink, the hotel, and the Algonquin Round Table are all new to me. The only thing I was familiar with in this post was Harpo Marx. Definitely remember him. Interesting story about the group and the times. I love your version of this drink - simple and, like you said - not too sweet. The other version definitely is a girly drink and one that this girly would not like! I definitely like the use of rye whiskey rather than rum. Thanks for a great post! Hi Cathleen, if you like pineapple, this drink has your name on it! ;-) Thanks for the comment. Hi MJ, I'll probably try that other version of this drink sometime - if I ever find a need for blackberry brandy! - but it's not the sort of thing I normally would drink. Thanks for the kind words, and comment. Hi Kristi, it is pretty hardy, although if you have just one as a predinner drink it's not too bad. Good question about the origins of the White Russian - I don't know. Something I should look up! ;-) Thanks for the comment. Interesting history. I think the cocktail sounds good too. Hi Dawn, the cocktail is well worth drinking. And I agree the history is so much fun! Thanks for the comment. Ooh, what magically delicious drink do you have for us today?! :) YUM! This sounds marvelous. I know it's not the same at all, but I have some Hudson Baby Bourbon Whiskey and may have to try it with this instead of rye - is that total blasphemy? Thanks for a great recipe, and the story behind it! Hi Lilly Sue, although not beer, I'll bet you'd enjoy this beverage. ;-) Thanks for the comment. Hi Ashley, it's a great drink! Thanks for the kind words, and comment. Hi Marta, this drink really does have interesting history, doesn't it? Plus it's might good! What more could one want? ;-) Thanks for the comment. Hi Cristina, you definitely must try it! Thanks for the comment. Hi Katherine, bourbon is a bit sweeter than rye (in general - I'm not familiar with the brand you have on hand)so you might find you need to adjust the ratio of ingredients a bit, but it's certainly worth a try. Thanks for the comment. Thanks for the background info! This looks like a strong but tasty drink, I do like pineapple so hopefully the sweetness will mask the harsh whiskey taste go away lol. I'm all for the foam as well. Hi Natalie, you definitely still taste the whiskey, so if you don't like the flavor, you may want to give this cocktail a miss. Although it's awfully good. ;-) Thanks for the comment. What an unusual name for a cocktail! After reading the story behind the cocktail and given a very sophisticated name for a cocktail, I thought what would follow would be a very long list of ingredients, but not - there is only 3! It's not at all difficult to make! Hi Julia, this isn't difficult to make at all! And it drinks so nicely. ;-) The name is a bit unusual, but it's actually a pretty simple cocktail. Thanks for the commet. Since I don't drink, I can't even imagine how this tastes but it is absolutely beautiful and I love all things pineapple. I also find your background story fascinating and it was so interesting to read. One thing, I saw you mentioned to John that people may not be interested in drink recipes, I like to see drink recipes! I think they are as important as food and I am not just saying that because I am a coffee fanatic. I may not find the alcoholic drinks useful but I can take ideas from it and sub the booze for something else...won't be a cocktail, but make a nice frou frou drink! Hi Nazneen, I'm glad you enjoy the drink recipes even though you don't drink! I do try to make them entertaining. ;-) Pineapple is such a wonderful flavor that I'm a fan of anything that includes it. Thanks for your comment. What a great combination! This cocktail sounds divine. That sure is an interesting name for a cocktail. You should be a bartender. Your drinks always looks delicious. Even the chill of the drink comes through your perfect photos. I've never seen this drink before but like the way it looks with the foam on top. Hi Anne, I suspect the blackberry brandy version would be fun to try, but wouldn't be something I'd want often. The history of drinks is fascinating, and although we remember the Roundtable for literary reasons, we sure wouldn't know this drink if it wasn't for them! Thanks for the comment. Hi Rosa, isn't this interesting? I love the name, and the drink is darn good too! Thanks for the comment. Hi Vicki, isn't that foam nice? And this drink is so attractive! Thanks for your kind words, and comment. I am probably more of a frou frou drinker, but I think I'd enjoy the original version, too. Beautifully done, John. Hi Liz, I'm going to have to get some blackberry brandy and try that version of the drink - the more I look at it, the better it's sounding! Thanks for the kind words, and comment. What a wonderful story! And beautiful cocktail. Your photos make me want to grab one through the screen and relax on this Friday night :) Too bad I don't have the ingredients in my kitchen right now! Hi Carolyn, drink one of these and let your best seller flow forth! ;-) Thanks for the comment. Hi Kristi, you should remedy that ingredient thing. ;-) Thanks for the kind words, and comment. I stayed at the Algonquin in 1964 with a bunch of other kids. I didn't appreciate its significance at the time. Hi Maureen, how cool to have stayed at the Algonquin! And it's probably not the sort of place that kids would appreciate. But now you get to have one of these cocktails and remember your youth! Sounds like a good deal to me. ;-) Thanks for the comment. Hi Bam, rye was the whiskey of choice in the northeast until after Prohibition because the soil and climate was so well suited to growing rye. And the same conditions were true in Canada, which has always put a fair amount of rye in their whiskey - so an awful lot of rye came in from there during Prohibition (although it was watered down). Alas, rye tends to benefit from aging, so after Prohibition bourbon tended to replace rye (bourbon benefits from aging too, but young bourbon tends to be a bit better than young rye, so you could get it to market quicker). Rye isn't that popular these days, alas, which is too bad. Anyway, more than you wanted to know! Thanks for the kind words, and comment. Hi Raymund, it's really a great tasting cocktail, and quite refreshing. Thanks for the comment. Love Dorothy Parker. What a great drink. 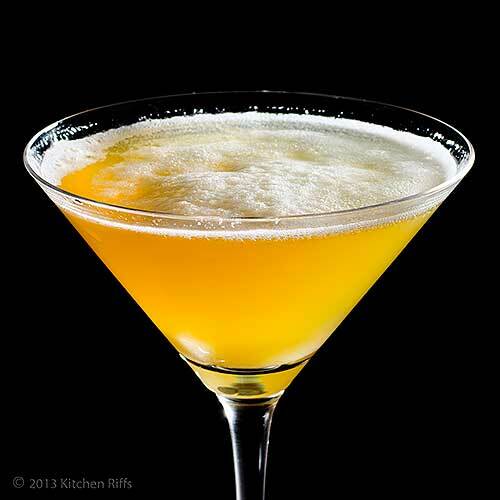 The combo of rye and pineapple sounds amazing. I have to admit this caught my attention because we vacation at Algonquin Park on occasion. Lol. Hi Kim, isn't Dorothy Parker wonderful? Funny lady! Next time you go to Algonquin Park you can pretend this drink is named for that! Thanks for the comment. Hi John, this cocktail look good. I love pineapple, so I'm sure this drink must be amazing. Thanks for sharing. I'm glad you mentioned alternate versions of this drink! I think I've only had the other version in your notes, the one with blackberry brandy, I don't think I've ever had one with rye whiskey as it's base (although it sounds delish with pineapple juice). Thanks for the history! It's fascinating to learn some of the background of drinks. Hi Amelia, isn't this a nice drink? And pineapple has such good flavor! Thanks for the comment. Hi Food Jaunts, a lot of drinks have alternative recipes, which can make things confusing. I'll definitely have to try the blackberry brandy version sometime. Thanks for the comment.